Keep your slave confined all day and all night! 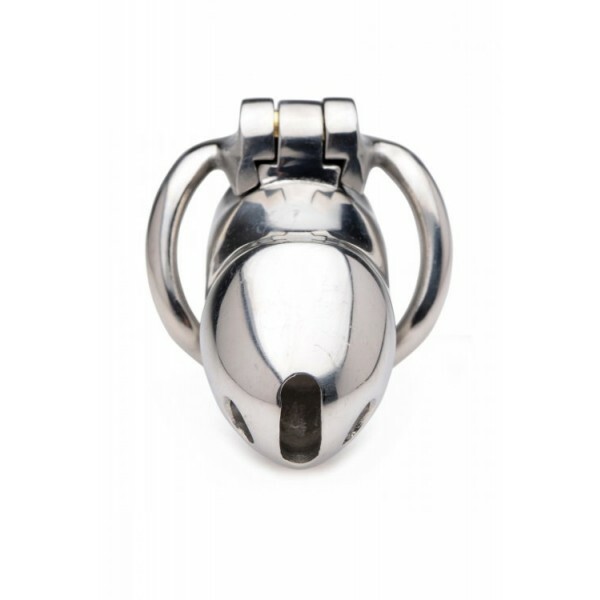 This chastity device has a uniquely compact design, with an internal locking system that prevents a bulky appearance under clothing. Insert the key into the brass keyhole and turn to straighten out the lock. The lock can then be inserted into or removed from the hinge. With another twist of the key, your slave will be helplessly trapped until you decide to show mercy! Great for sissification, cuckolding, and slaves. Made of stainless steel, this cage is non-porous and phthalate-free. Measurements: Base ring is 2 inches in diameter. Shaft is 3.25 inches in length and 1.3 inches in diameter. 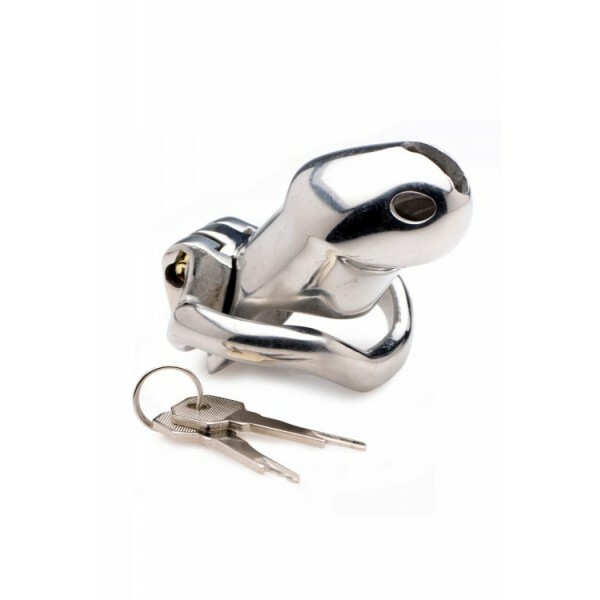 Material: Stainless steel, brass lock. Color: Grey. Note: Includes internal lock and two keys. Measurements: Base ring is 2 inches in diameter. Shaft is 3.25 inches in length and 1.3 inches in diameter.